I have always been a big lover of vegetables, including the green ones, even as a child. However, I have not been able to get into the green juices that are all the rage these days, and prefer to stick to taking in my greens the good old fashion way: chewing them. 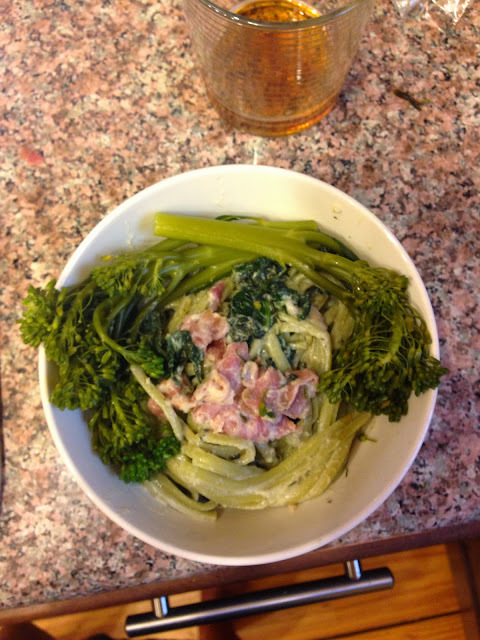 Earlier this week, I had one of my cravings for greens, and had some time to spare, so I wandered through the gigantic grocery stores that exist in the south, playing on my Cooking Light app along the way, and ended up creating a pasta dish with plenty of greens and fresh herbs (grown by yours truly), and some prosciutto for that extra bang. Step 1: Roughly chop spinach and green onions. Finely chop thyme, dill, and rosemary. 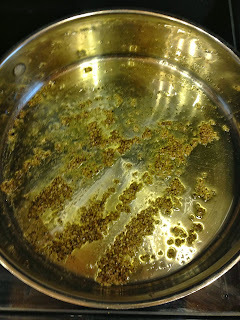 Step 2: Start cooking pasta and steam broccolini. Saute garlic, two tablespoons olive oil, and one teaspoon of salt and pepper for about four minutes then add herbs and stir constantly for about two to three minutes to meld together flavors. Add spinach and cover with a lid, stirring occasionally. Once spinach has wilted, remove from heat and keep warm. 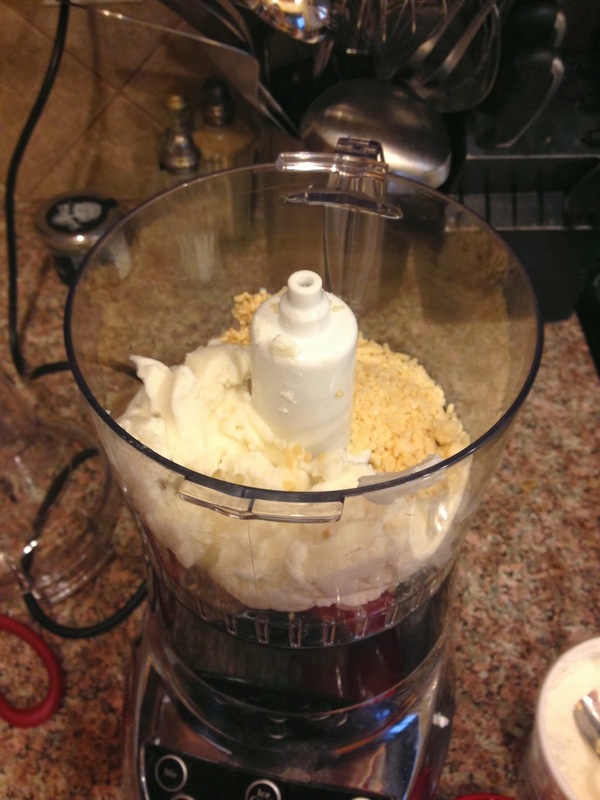 Step 3: As your pasta continues to cook, place ricotta cheese and pecorino-romano cheese in a food processor. 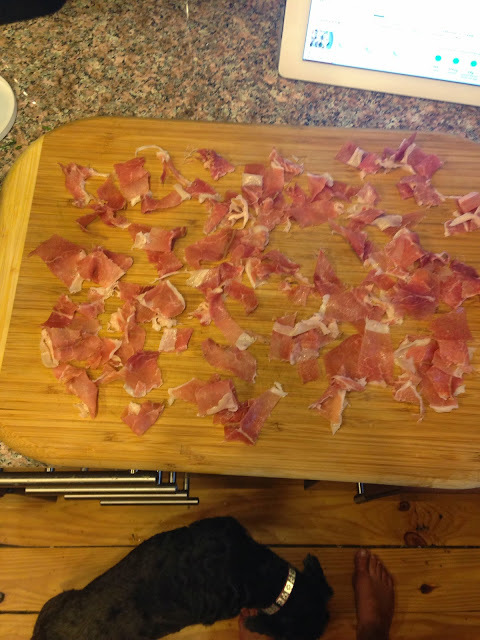 Chop the prosciutto. Step 4: Once your pasta has finished cooking, put 3/4 cup of the pasta water into the food processor with the two cheeses, and blend until smooth. 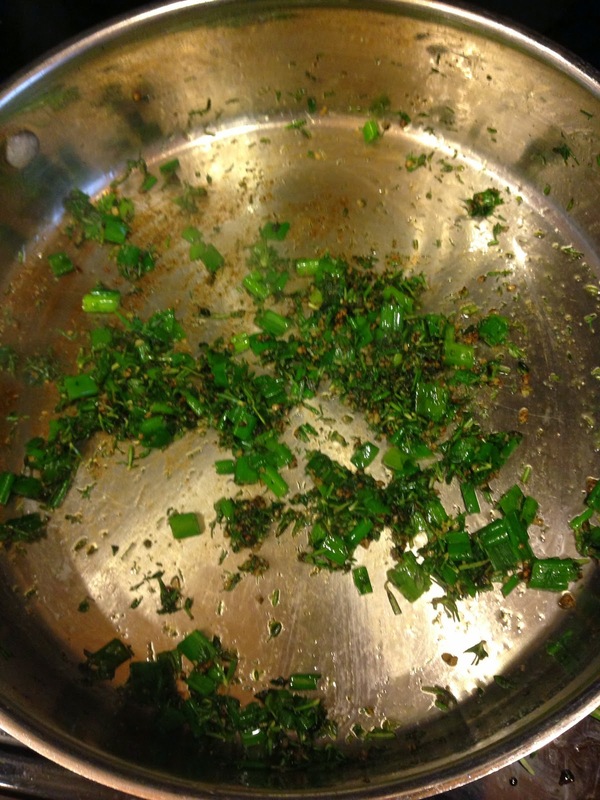 Step 5: Toss sauce into pasta and mix in spinach and herb mixture. Separate out six servings of pasta and top each with prosciutto and a few broccolinis. 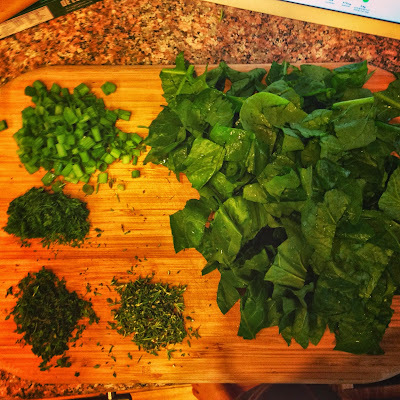 This dish was easy to make (chopping, boiling, and food processing) and provides a nutrient rich dinner, and tricks non-green eaters (ahem Jason) into eating greens! ← Guilt free eggs benedict for brunch!